Ryan, Brittney and illustrated by Laurel Long with Jeffrey K. Bedrock. Holly Claus The Christmas Princess. Quattrochi, Carolyn and illustrated by Susan Spellman. The Little Drummer Boy. Zabriskie, George A. A Little About Washington Irving. Gordon, Shirley and illustrated by Edward Frascino. Crystal's Christmas Carol. McKissack, Patricia C. and illustrated by Jerry Pinkney. the All-I'll-Ever-Want Christmas Doll. Rector, Andy and illustrated by Andy Stiles. The Christmas Cookies. Haugan, Randolph E, Edited by. 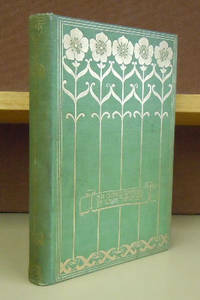 Christmas An American ANnual of Christmas Literature and Art Volume 33. Dawson, Coningsby. The Seventh Christmas. Compton, Kemm. Happy Christmas To All. National Gallery, London. The First Christmas. From Square Foot Gardening to The Complete Medicinal Herbal, from	Square Foot Gardening to Christmas, we can help you find the home & garden books you are looking for. 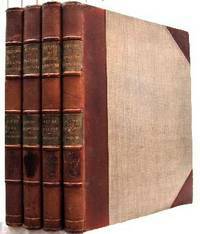 As the world's largest independent marketplace for new, used and rare books, you always get the best in service and value when you buy from Biblio.com.au, and all of your purchases are backed by our return guarantee. One of the bestselling garden books ever is fresher than ever! Ready to inspire a whole new generation of gardeners.When he created the square foot gardening method, Mel Bartholomew, a retired engineer and efficiency expert, found the solution to the frustrations of most gardeners. His revolutionary system is simple: it's an ingenious planting method based on using square foot blocks of garden space instead of rows. Gardeners build up, not down, so there's no digging and no tilling after the first year. And the method requires less thinning, less weeding, and less watering. 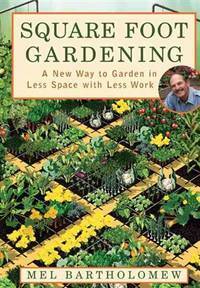 I found a better way to garden, one that's more efficient, more manageable, and requires less work, Bartholomew explains. Not surprisingly, his method quickly received worldwide recognition and has been written up in every major newspaper and gardening magazine. In Defense of Food: An Eater's Manifesto is a 2008 book by Michael Pollan. It was number one on the New York Times Non-Fiction Best Seller List for six weeks. The book grew out of Pollan's 2007 article Unhappy Meals published in the New York Times Magazine. Pollan has also said that he wrote In Defense of Food as a response to people asking him what they should eat after having read The Omnivore's Dilemma, his previous book. 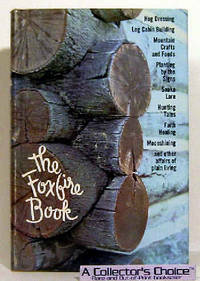 The Foxfire Book: Hog Dressing, Log Cabin Building, Mountain Crafts and Foods, Planting by the Signs, Snake Lore, Hunting Tales, Faith Healing, Moonshining The "Foxfire" books began as a student-produced magazine in 1966 that contains stories and interviews from elders in their rural Southern Appalachian community. The books are anthology collections of material from The Foxfire Magazine , edited and published by Eliot Wigginton. Mirella Amato has dedicated herself to promoting local beer and beer appreciation since 2007. She is the first non-US resident to earn the title of Master Cicerone. Mirella is a National Level BJCP judge and has sat on juries for the Canadian Brewing Awards, the Great American Beer Festival, the European Beer Star and the World Beer Cup. She was the recipient of the 2012 OCB Centre of Excellence Industry Choice Award in Food & Beer Matching Development. Mirella regularly conducts fun and informative guided tastings and food pairing workshops internationally. She also provides staff training and consulting to pubs, restaurants and breweries. She can frequently be heard on CBC Radio and her writing has appeared in a number of beer magazines. Mirella lives in Toronto. This is her first book. Explains how to use a system of layered mulch materials, including newspaper, leaves, and grass clippings, to provide a nutrient-rich base for healthy gardens and robust flowers, herbs, vegetables, and fruits. Foxfire 3 - Animal Care, Banjos and Dulcimers, Hide Tanning, Summer and Fall Wild Plant Foods, Butter Churns, Ginseng, and Still More Affairs Of Plain Living The "Foxfire" books began as a student-produced magazine in 1966 that contains stories and interviews from elders in their rural Southern Appalachian community. The books are anthology collections of material from The Foxfire Magazine , edited and published by Eliot Wigginton. Dr Hessayon is the world’s best-selling horticultural author - his Expert series of gardening books have sold over 53 million copies. He has been honoured by Queen Elizabeth who created him an Officer of the Order of the British Empire for services to British horticulture. He has been honoured by a leading newspaper which included him in its list of ‘60 Truly Great Elizabethans’ because “he has taught millions of us how to garden with his wonderful do-it-yourself guides”. 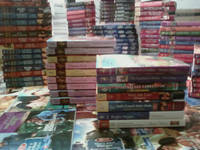 He has been honoured by Guinness World Records as “the top-selling living author of the 1990s”. He has been honoured at the National British Book Awards with the first-ever Lifetime Achievement Award. The Expert style is hard to define. According to the Librarian of the Royal Horticultural Society “Dr Hessayon perfected a manner of presentation which has yet to be surpassed for clarity, intelligibility and ease of access”. 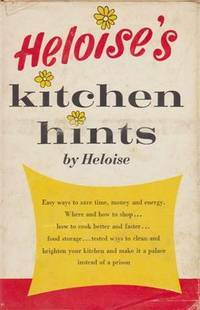 According to The Times “he invented a formula of clear, uncluttered advice and illustrations with a superbly logical layout”. There are 21 Expert titles in the series which have been enjoyed by gardeners all round the world. The House Plant Expert has now passed sales of one million copies in both the U.S and Russia.